Moisture build-up along external walls and inside the foundation and other structural components of the building leads to numerous hazards. Moisture attracts fungus and molds, consequently resulting in dire health impacts on inhabitants of the building. Aside from this, water seeping through the external walls, ceilings and foundation of the establishment weakens its structural components. It ultimately damages your home or business property, and you are likely to incur huge expenses in maintenance. Water seepage through external walls in Singapore is a common defect affecting many house owners. In a survey conducted on around 10,000 residential units, findings depicted that heavy rainfall and the use of a single layer brick wall were the leading causes of water seepage through external walls. Nearly 80% of water leakage problems materialized through cracks in plastered brick walls. The leakage through external walls is further compounded by high humidity and abundance of rainfall. Furthermore, high-rise buildings in Singapore experience high wind speeds that increase the likelihood of this problem. Building envelopes must be appropriately designed and constructed by professionals to impede ingress of water. Water leakage or moisture ingress in buildings leads to damp, uncomfortable environments that can deteriorate external finishes. Unsightly moist areas on outer walls and ceiling surfaces cause mold growth. It also increases concentrations of hazardous pollutants that affect occupant’s health. The External Wall Waterproofing is therefore not only desirable but also a great concern to whoever resides in the building. External Wall Waterproofing is an absolute best way to ensure that a property is safeguarded against the effects of water damage and moisture buildup. 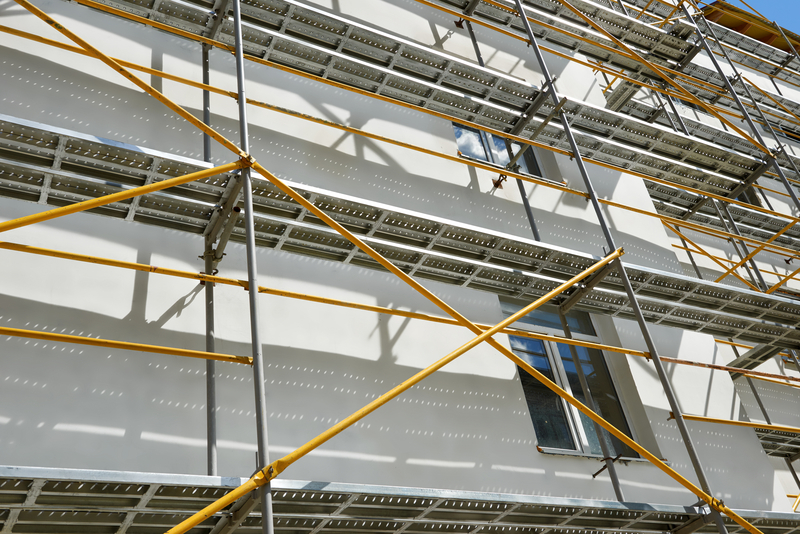 However, customers must note that the materials and techniques applied in external wall waterproofing will determine the ability of the building to withstand the leakage. It is wise to secure the waterproofing and roof services from an expert professional in the quest to give your home or commercial property a lasting protection. With well over 20 years’ experience in waterproofing, roofing repair and maintenance, Waterproofing Singapore has worked its way up to become the premium specialist contractor in Singapore region and even beyond borders. We offer comprehensive waterproofing services that solve all kinds of water leakage problems, such as external wall waterproofing, leaking toilets, ceiling leakage, Bathrooms, floors, Showers, Balcony, roofing repair, Reinforced Concrete, and much more. Waterproofing Singapore is a specialist in providing residential, commercial and industrial waterproofing services and concrete repair works. We provide our valued clients with the superior level of service at competitive rates thanks to our creative and innovative work methodology, practical solutions and the maximum productivity. At Waterproofing Singapore, we believe in providing the best support in External Wall Waterproofing and other undertakings. We’ve undertaken thousands of projects for commercial, industrial and residential waterproofing contracts. As the premium waterproofing contractor, we are registered and approved by the Building & Construction Authority of Singapore. Our external waterproofing professionals are committed to providing high-quality workmanship, efficient response and cost-effective external wall waterproofing solutions suited to our esteemed customers. Our external waterproofing experts aim to determine the cause of exterior water seepage prior to providing high quality, cost effective and environmental friendly waterproofing solution. Identifying the source of water infiltration is not an exact science. The process revolves around elimination because a leakage may have numerous contributing factors. Hence, it is not always the direct result of a given issue associated with the exterior wall. Waterproofing Singapore professionals will trace the cause of water leakage problems and notify our client. We will inform you whether or not the cause is external wall caused by raining water, concealed water pipe or flooring waterproofing. Our external wall waterproofing experts will solve your problem without worry. And, we guarantee your peace of mind during the entire process. Waterproofing Singapore is a leading waterproofing contractor that is dedicated to ensuring quality standards and ultimate satisfaction. For our clients’ peace of mind, we are giving a warranty on all our waterproofing treatments. We are confident that we are the right people to handle your external wall waterproofing project. We pledge to bring the absolute best to our clients. Our waterproofing specialists not only meet your demands but also exceed your ultimate expectations. Try our FREE, no obligation inspection service today. Call us now for a quotation on your next project.